The Canon ImageClass D1150 is more or less the same multifunctional center as the Canon ImageClass D1120 with the main addition being a fax modem that fully rounds out this already fully loaded device. For those willing to pay the high price tag, the D1150 is more or less the perfect small office MFC, with the exception of a few minor gripes such as low optical scan resolution. Virtually every feature of the Canon ImageClass D1150 is state of the art, which explains the high price tag. The inclusion of professional grade hardware such as a built in Ethernet card and automatic duplexor make this unit truly fit in among business class workgroup machines, yet it is small enough to fit on a desktop, be it a large one. 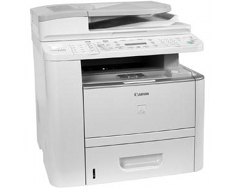 With 30 page per minute laser quality output, the Canon ImageClass D1150 will keep your entire small, or even medium, sized office supplied with incredibly fast copy, print, fax, and scan functions, while also including the ability to PC fax over the network. Automatic duplexing makes double sided printing fast and easy, and can help in the reduction of paper costs and usage by virtually half. Two sided prints also help to add a professional feel to certain types of documents such as booklets and brochures. One wouldn't expect anything less from the Canon ImageClass D1150 than a full sized paper tray, and the unit delivers with a solid 500 sheet cassette that is complemented by a 50 sheet multipurpose tray for integration of special media types such as envelopes and company letterhead. The main primary function that the Canon ImageClass D1120 was missing was a fax modem. 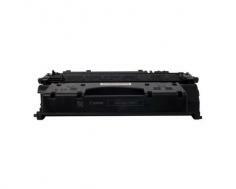 The D1150, however, incorporates an industrial level set of fax features that would satisfy virtually any possible fax demand, even when shared over the network. Functions include a fax page memory capable of storing up to 512 pages worth of data at once and 20 single touch speed dials. There are few bad sides to a unit as well rounded as this, other than the six hundred dollar price tag. Still, much like any electronic piece of hardware, it does have its few quirks. Possibly most notably is its very bad optical scan resolution of 600 x 600 dots per inch. A unit of this stature should have scan quality that at least matches its copy resolution, though an oversized 14 inch platen glass does help to make up for the loss. 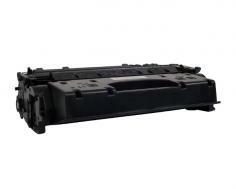 Review it: "Canon imageCLASS D1150 "
The only other small drawback to a unit of this stature is its costly toner. Canon keeps things simple in it's D series devices by using its patented single cartridge setup that combines the drum unit and toner cartridge into one consumable device. This results in very easy toner replacement, but the Canon ImageClass D1150's cartridges only hold 5,000 pages worth of yield at 5% coverage which, for a unit that will be presumably used for high volume printing, could result in short replacement cycles and a high overall cost per page.